Physician. Physical medicine and rehabilitation, independent medical examinations. 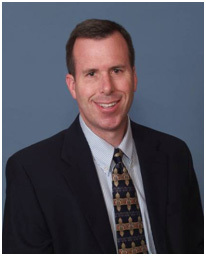 Dr. Erik Stowell has over 20 years of clinical experience in the practice of Physical Medicine and Rehabilitation. His experiences as a competitive athlete and recovery from major sports injuries and related surgery has given him useful insight into the application of sports medicine principles to his every day practice. Dr Erik Stowell strongly believes fitness and a healthy lifestyle are keys to musculoskeletal injury prevention and treatment. In his office, Stowell’s philosophy is to create a realistic exercise based treatment program tailored to each patient’s needs. He has extensive experience in injured worker’s management, IMEs, EMG/Nerve Conduction Studies, AMA impairment ratings, closing examinations, and sports injury management. Erik Stowell has a special interest and experience in the evaluation of golf related injuries and swing biomechanics. Growing up in Pleasant Hill, Oregon - he is an avid outdoorsman, enjoying golfing, fly-fishing, Alpine skiing and cycling. He lives in Eugene with his wife and their two children. He has coached basketball for over 10 years and recently was a soccer goal keeper coach for his son’s U14 team.